We already know that student loan debt can have adverse effects on borrowers; from not being able to purchase a home to dinging credit reports. But a new study claims there’s also a link between the piles of debt and poor mental and psychological functioning among young adults. CBS Atlanta reports that a University of South Carolina study determined that students weighed down by loans were more likely to exhibit signs of depression and stress. The study, which was published in the January edition of Social Science & Medicine, examined the link between student loan debt and psychological functioning for more than 4,600 American 25- to 31-year-olds and currently enrolled U.S. students. 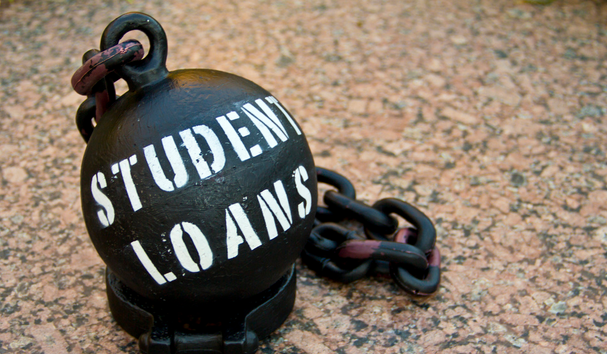 According to the report, both “occupational trajectories” and “health inequities” were negatively impacted among students with student loan debt they can’t repay. The study’s author, Katrina M. Walsemann, suggests that extreme debt is causing young adults to delay decisions regarding marriage and children, as well, as causing some to deviate from their chosen career path. “We are speculating that part of the reason that these types of loans are so stressful is the fact that you cannot defer them, they follow you for the rest of your life until you pay them off,” Walsemann says. The study was based on two questions: What is the association between the cumulative amount of student loans borrowed over the course of schooling and psychological functioning when individuals are 25–31 years old? And what is the association between annual student loan borrowing and psychological functioning among currently enrolled college students? Researchers found that financial strains have a measurable mental and physical effects on people from all socio-economic backgrounds. Walsemann found a direct link between stress, anxiety, hopelessness, and sometimes depression and the amount of debt accumulated by students. On average, the higher the debt amount, the more likely a student or ex-student was to suffer from mental illness. The study notes that certain participants who were raised in poorer families or who had already experienced significant amounts of emotional instability in their lives were more capable of coping with the mental setbacks. Still, when researchers adjusted data based on family wealth and childhood economic status, most students with debt still reported higher levels of depression and stress.